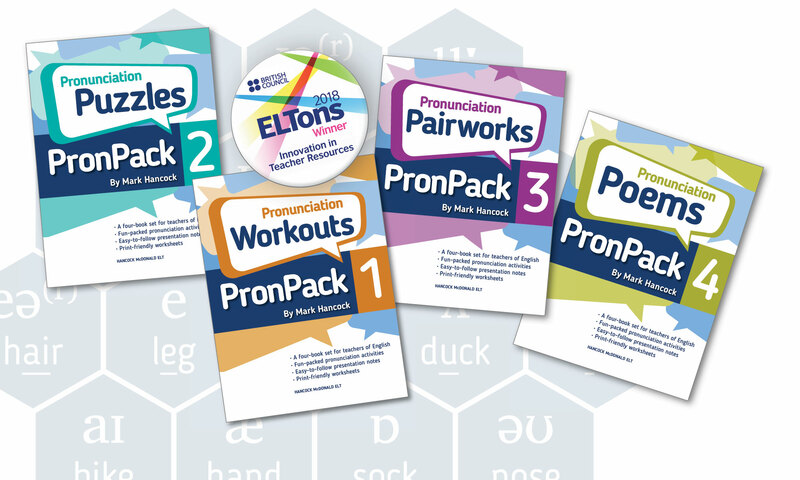 PronPack 1-4 is available in two formats, eBook and Paperback. eBook – Portable and personal, PronPack 1-4 eBooks are available on Kobo and iBooks. The fixed-layout ePubs feature integrated audio files to support the clear easy-to-follow pronunciation activities in each book. Paperback – Want to browse through a book? Get your hands on printed copies of PronPack 1-4 from Amazon , The Book Depository, Wordery, the BEBC bookshop, Bookery (Australia), SBS (Brazil) or DES (Greece/Cyprus) with more supplers tbc. Why not get copies of PronPack 1-4 for your school staffroom or resource centre. Whether you go for the Ebook or Paperback version or both, the additional teacher resources on this website make it easy to prepare for class with print-friendly posters, worksheets, downloadable audio files, presentation slides and more. Its always great to get readers feedback and ideas, do get in touch with us here at PronPack.com or leave a review on the bookseller’s website.